I have always had a soft spot for the cars built by the Rootes Group. My grandmother was a secretary in Rootes' Manhattan office. My dad briefly drove a Hillman Minx. (I was very young and don't remember much about it.) My first British sports car was a Sunbeam Alpine. I even had a dog named Rootes, but that's a long story. For all intents and purposes, Humber was Rootes' luxury car division. The second generation Super Snipe was introduced in 1958. (These cars are sometimes called "Series Cars," as each time a change was made it was called a different series. The first generation Super Snipes denoted their changes by Mark numbers. i.e. Mk. II, Mk. IV, etc.) 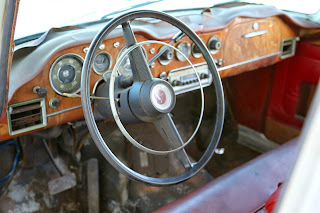 It was big (by British car standards) and loaded with leather and wood. Its styling is derivative of 1950s US sedans. 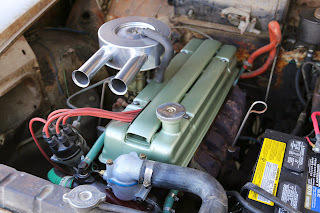 The engine is a 3.0 liter I6 and based on an Armstrong Siddeley design. It is powerful enough to move the car to 60 MPH in 16.5 seconds. Top speed is just under 100 MPH. 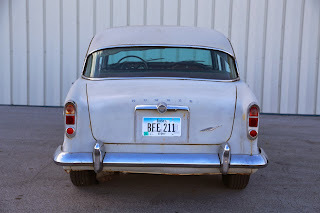 Rootes intended for this car to be big in America. It could be ordered with an automatic transmission. Air conditioning was an option, starting with the Series III cars. However, even with those options, it never sold well here. This is a Series III car. It does not appear to have air conditioning, but does have the automatic transmission. The Series III cars were the first to have quad headlights and the full length grill. Someone started to restore this car. Some engine and brake work has been done. 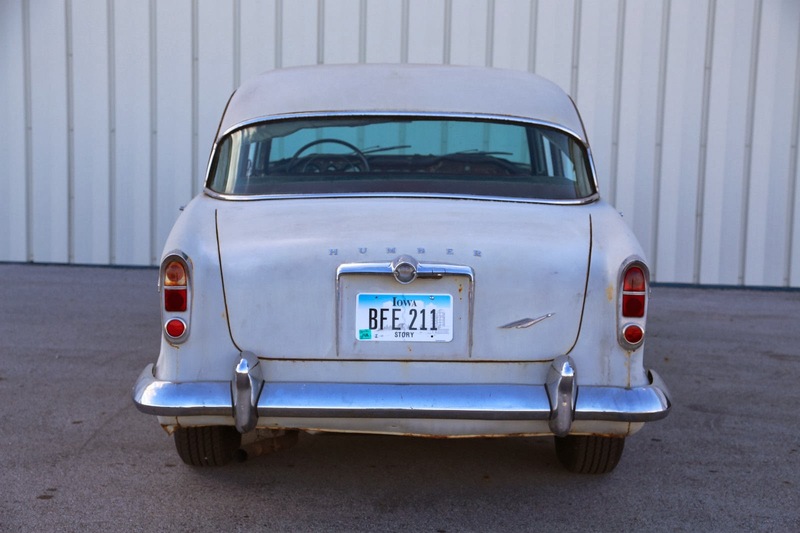 The body still needs attention, but it appears to be straight and the rust, for an old British car, is minor. Best of all, all of the trim pieces are still on the car. The interior also needs some work, but is almost all there. It looks like the little picnic tables that fold down from the back of the front seat are missing. This would be a great car to restore. 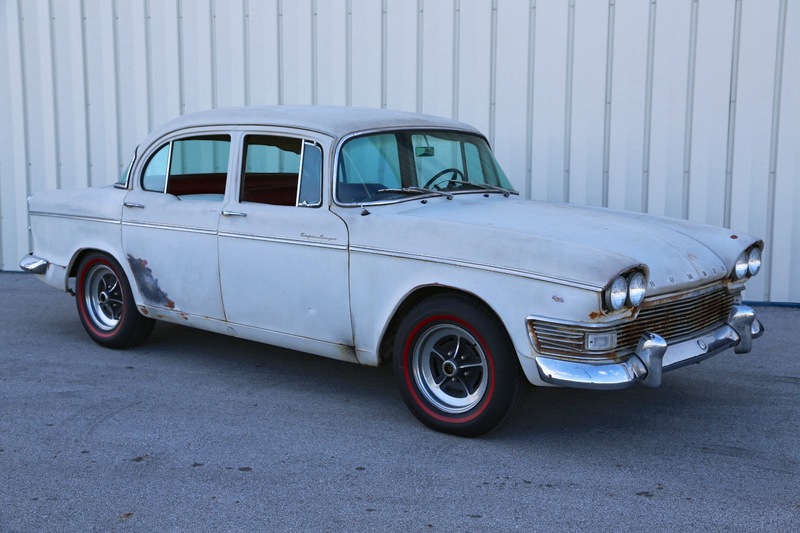 It's a cool old car that deserves restoration. You would most likely be the only Super Snipe at your local car show and maybe even the only one at bigger British shows. Located in Ames, IA, click here to see the eBay listing. This is a really nice find. The addition of the Buick Rallye wheels pushes this car into Rover P5 territory.